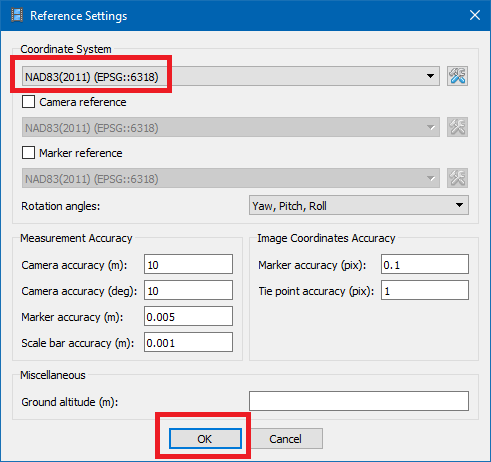 User wishes to convert ASPSuite processed images to a NAD83(2011) projected coordinate systems in PhotoScan, but the desired NAD83(2011) based projected coordinate system does not appear in the list of available coordinate systems. Note: Assumes ASPSuite processing was based on NAD83(2011) base station coordinate. 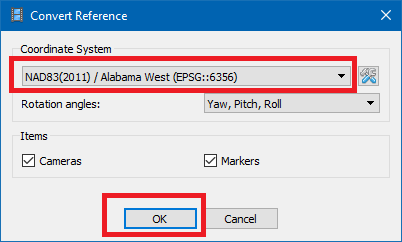 This entry was posted in AirGon Tools, Tips and Workflows and tagged coordinate, coordinate systems, CRS, photoscan.